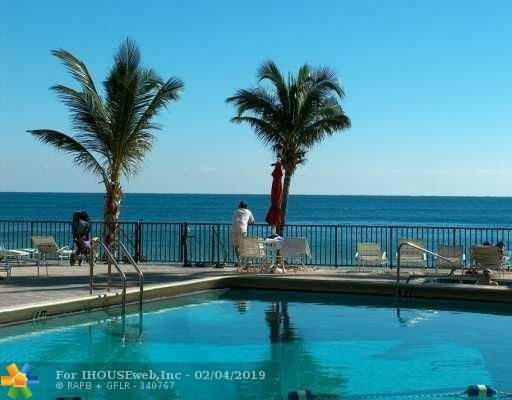 Very Nice Ocean View, 1 bedroom, 1.5 bathroom apartment. Annual Lease. Great Value. Beautiful Ocean/Beachfront building. Amenities include, tennis court, hot tub on pool deck, recreation room with Library, Gym, Saunas, Showers etc. Across the street from Grocery, Dry Cleaners, Dunkin Doughnuts, Starbucks etc. Directions: Oakland Park Blvd. East To North On A1a, Then East To Galt Ocean Drive.